The Conditioning Module Reservoir Extraction CM-RE is same as an accessory to the CS ContaminationSensors and the FCU FluidControl Units. 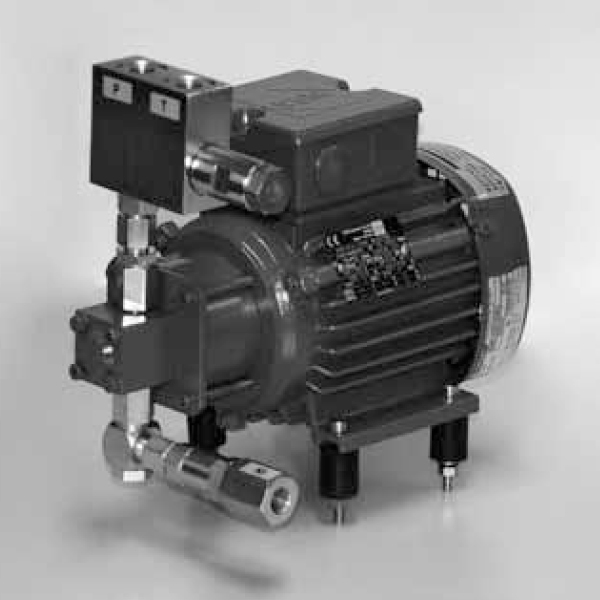 Indeed, the CM-RE is a self-priming motor pump unit. It makes it therefore possible for the CS/FCU to measure oil cleanliness in unpressurized reservoirs, tanks or leakage lines. What’s more, the analyse of the oil operates by drawing the oil through the suction strainer at the inlet port. The gear pump supplies the oil at a maximum pressure of 60 bar (870 psi) to the pressure port, so that the CS / FCU can analyse the oil. The pressure relief valve relieves any positive pressure via connection (T) as leakage oil. On the other hand, for modules with a pump with increased inlet pressure (CM-RE-2…), the drainage of internal leakage oil operates from the pump via the separate LEAKAGE connection. Its applications are hydraulic and lubrication systems.